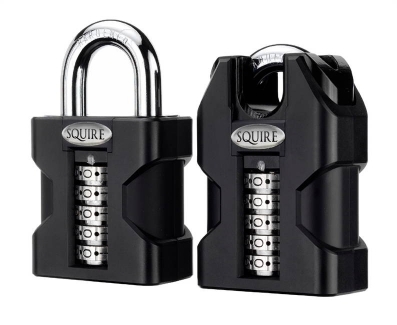 These heavy duty combination padlocks are constructed of a solid hardened steel lock body and hardened boron steel shackle - with a protective lock body cover for extra high security. Locks & Security Group in association with OPAL (Organisation of Professional Accredited Locksmiths) have arranged with Konig UK for a UPVC Repairs Training Day to take place on the 13th September at the company's premises in Nuneaton. Repairing UPVC could well be a natural add-on to your skills that you could charge for. The corse is a step by step guide to repairs for all types of damage to white and wood grain profiles, Touch Up & Repair Procedures and colour matching. Kingston Digital Europe Ltd., an affiliate of Kingston Technology Company Inc., the independent world leader in memory products, has announced the second-generation of its popular DataTraveler Locker+ secure USB Flash drive. The new, lower priced DataTraveler Locker+ G2 works interchangeably between Mac OS X and Windows systems and all data is secured with hardware-based encryption. The family of a U.S. military medic killed when a rogue security guard opened fire on American troops in Afghanistan is suing the Ontario-based security firm that hired the guard, alleging it failed to document and report the threat he posed to coalition forces. The lawsuit, filed in California, alleged Tundra Group and its subsidiary Tundra Strategies, Inc., which is headquartered in Toronto, are responsible for the wrongful death of Rudy Acosta, 19, in a March 2011 attack at Forward Operating Base Frontenac, as well as injuries to three other soldiers.